The School of Adaptive Agriculture Practicum Program is for adults who have decided to enter the sustainable food system. You may not yet know what your role will be. But you want to be among the million new farmers, ranchers, and leaders this country needs in order to transform agriculture through creative, sustainable and profitable enterprises. 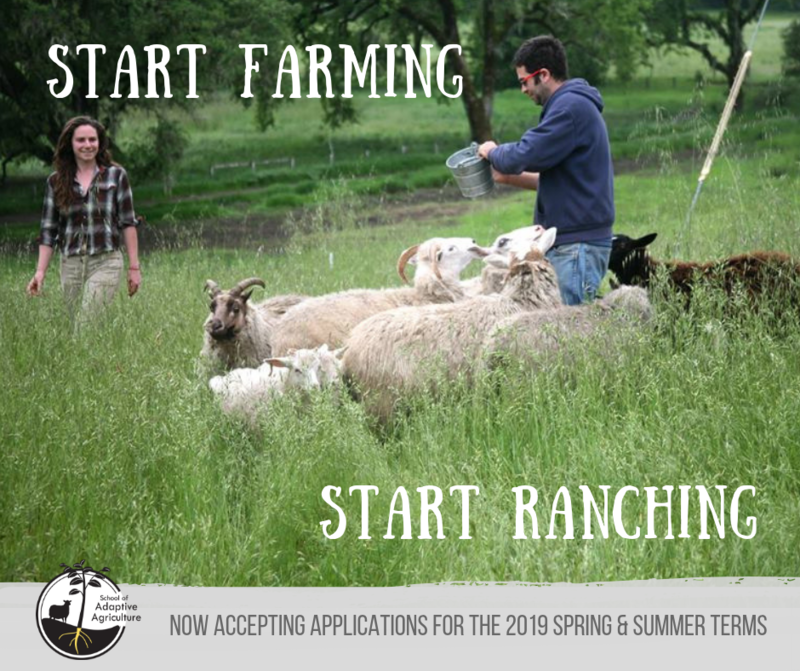 Join us for a three month intensive residential training program on a 5,000 acre working ranch in Mendocino County, California. Our 2019 Practicum Programs start in April and July. Visit our website for more information. The School of Adaptive Agriculture Practicum Program is for adults who have decided to enter the sustainable food system. You may not yet know what your role will be. But you want to be among the million new farmers, ranchers, and leaders this country needs in order to transform agriculture through creative, sustainable and profitable enterprises. Join us for a three month intensive residential training program on a 5,000 acre working ranch in Mendocino County, California. Our program combines experiential learning with living and working side-by-side with farmers and ranchers. 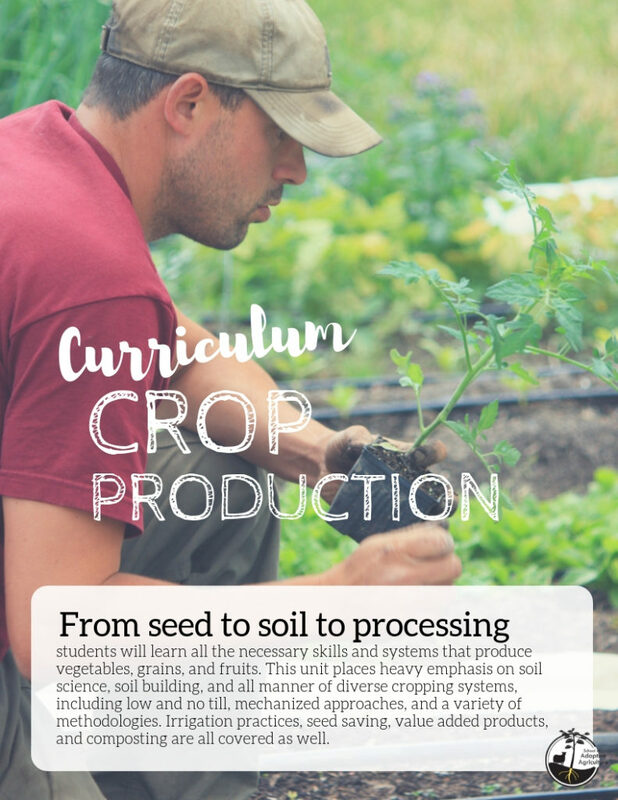 Classroom based learning is designed to send students off with a comprehensive vocabulary, skill set, and understanding of the foundations of small scale agriculture. Weekly field trips contribute to a unique learning experience, giving students a well-rounded education that helps launch them into your career in the food system. Programs start in April and July. Visit our website for more information. To learn more about our program please visit our website: www.adaptiveagriculture.org. Please note that applications for our 2019 Spring term are due Thursday, February 14th. Human progression has forever been linked to our ability to find ways to more efficiently feed ourselves. From hunter gatherer to agrarian to industrial and networked, each advancement in civilization has been led by technological advancements in agriculture. For a historical perspective, in the United States in 1870, nearly 50% of the population was employed in agriculture. Today that number is under 2%. During the middle of the industrial revolution, there was still one worker in agriculture for every other employee in the work force. A series of global famines lead to immense focus on agricultural efficiency and application of technology in the 1950’s and 1960’s. Currently, roughly 1 employee in agriculture can feed 50 people. However, the need for farmers can never completely disappear. As the world population increases and global food demand skyrockets, the need for higher and better food production is increasing while the margin for error is decreasing with limited arable land. Our food producers have always been at the mercy of nature. Drought, flood, heat, cold, pests, and disease are only a few of the natural phenomenon farmers have had to contend with for millennia. In addition, farmers today are facing challenges that no other generation of farmers have had to face. Tackling modern day challenges is where the farmer is less equipped or in some cases, not at all. The world is seeing an overall urban migration at a rate never seen before. The labor force which farmers have relied upon lately is slowly aging and disappearing as rural communities “advance” through their agrarian phase. Urban service economies are creating high paying, high-tech jobs, leaving employment in the agricultural industry looking unexciting and unprofitable. Non-GMO and organic movements are stripping farmers of their historical weapons against nature. A focus on urban economies and urban service industries has led to government policies artificially driving up labor wages without consideration to its impact on farming communities, thus adding a new challenge in an always price driven commodity market. Other resources that feed farming, such as and especially water, are now a regulated, debated, and increasingly expensive resource. The rate of global civilization advancement coupled with the above societal shifts has left the farmer technologically behind. There is a new movement that is countering the above, farmers and farming communities are beginning to take control of the future and pool their resources to fund the innovation they need. A major impediment has been a lack of familiarity with complex technology development at a global scale. The technology companies that do engage with farmers have ignored the generational knowledge and insights that rests with farmers and hence have failed in providing the needed advancements. Several technology companies have taken advantage of farmers whether through data rights, usage/modification restrictions, or limiting revenue trickle down to farmers. Some companies have engaged in all of these and more. This has led to audacious farmers engaging companies like Motivo, to develop their needed solutions. 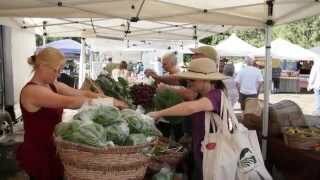 Motivo’s unique commercial arrangements allows farmers and farming communities to leverage their insights by encapsulating them into unique services and products for deployment not just on their farms but globally. Early adopters and visionaries in agriculture are seeing a world of opportunity with new innovations leading to intellectual property and new revenue streams. This is just the beginning and unless we apply the kind of societal focus and resources applied to other global challenges, our next generation will be re-introduced to the word “famine”, a word that has largely disappeared from the public vernacular. Unlike previous famines, this time around our society antipathy towards farmers and farming would be the primary cause. In our upcoming blogs we shall examine additional ways to overcome the highlighted food security challenges and accelerate a future where farming is viewed as an exciting and profitable profession globally. A future where society has advanced by taking the next giant leap in agriculture. Steve Babin is a Product Manager at Motivo who grew up working on and around farms in rural Northern Idaho where he now resides. After 12 years working in aerospace maintenance, production, and R&D, Steve joined Motivo after noticing the work they were doing in the AgTech space. Praveen Penmetsa is the CEO and founder of Motivo Engineering. 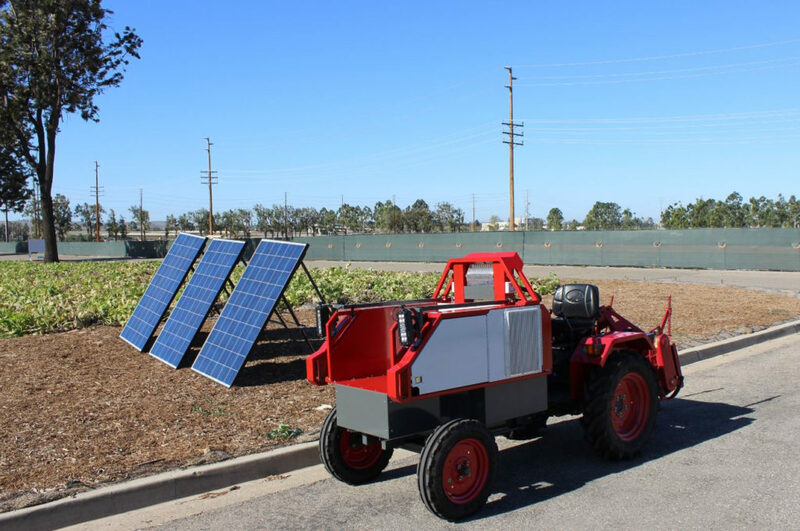 Motivo Engineering is an innovation engineering firm headquartered in California, USA and has executed numerous projects in mobility, aerospace and AgTech. Motivo’s unique innovation framework and phased product development approach has reduced the risk in transformative product development for audacious visionaries. Motivo projects range from innovation and intellectual property development to low volume manufacturing of these transformative products. Several Motivo clients are now leveraging these technology solutions for additional future revenue through licensing or by selling these unique products. Motivo will be at the 2019 World Ag Expo, February 12-14 at the International Agri-Center in Tulare. Rogue Farm Corps’ Internship Program is a full season entry-level residential internship that combines hands-on training and skills-based education in sustainable agriculture. Participants live and learn on a host farm, receiving up to 1,500 hours of on-farm training and learning in-depth skills from their mentor farmer over the course of a farming season. The hands-on, residential training experience is combined with farm tours, classes, and discussion circles throughout the region, as well as an independent study project, and access to lots of resources for further learning. Interns are exposed to a vast array of knowledge and expertise by engaging in the daily life of vibrant, agricultural communities. 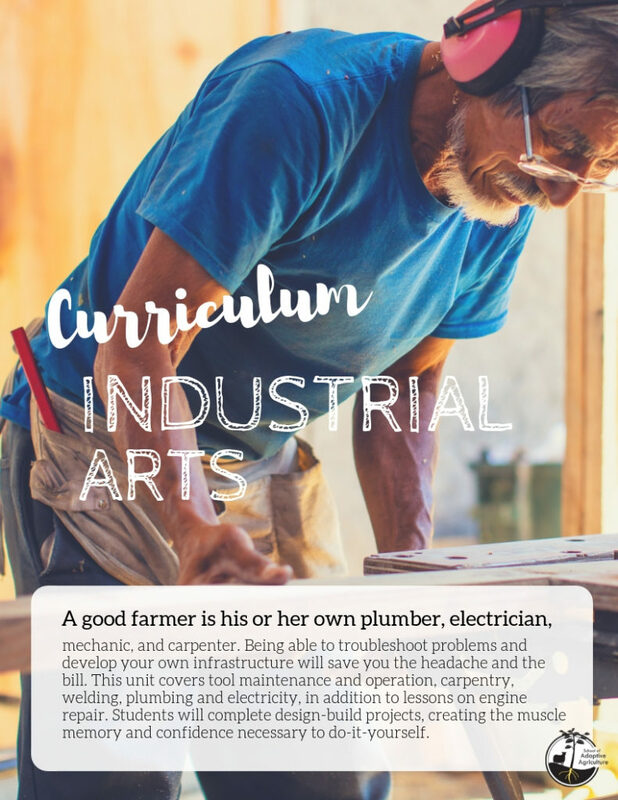 The Apprenticeship Program is an advanced program for those with farming experience who are seeking mastery in the art and business of sustainable agriculture. 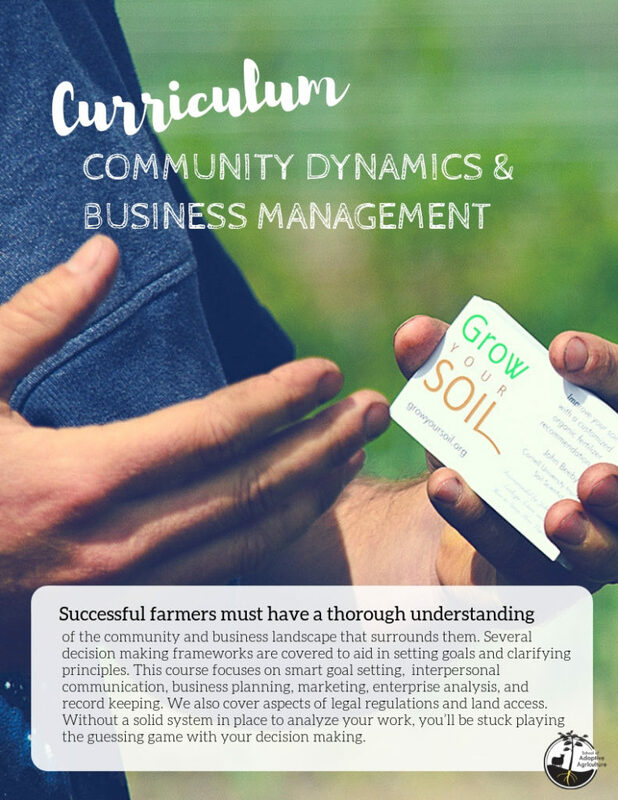 Hands-on training, classes, weekend workshops around the state, an independent study project, and guidance in farm business development will allow participants to gain the skills to plan, design, and run integrated farming systems on their own. This full-immersion program is designed for those who have completed an internship program with RFC or a similar organization, or have two years of on-farm experience. Apprentices live and learn on a host farm, receive up to two seasons of on-farm training, and learn in-depth skills from their mentor farmer. 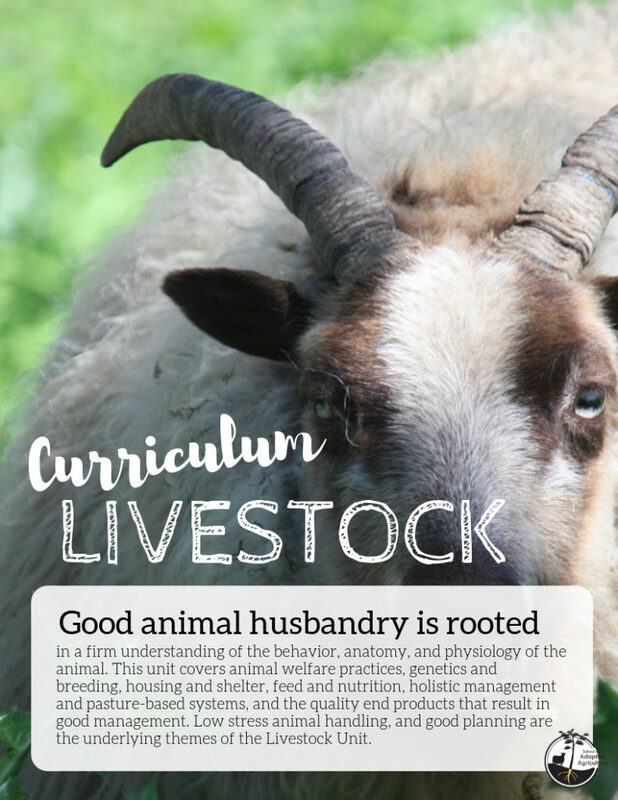 The rotating two-year curriculum focuses on advanced farming techniques and business planning and management. 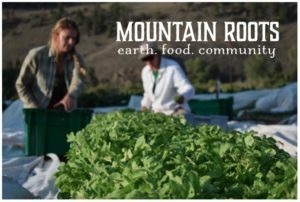 Mountain Roots Food Project is a local food systems initiative in the beautiful Rocky Mountain community of Gunnison-Crested Butte, Colorado. At Mountain Roots we have a newly established community farm (2 years old) and manage six community /school gardens. We are seeking a full time Farm & Gardens Manager to start in 2019 and help take our programs to the next level. This is a perfect role for someone who has been an apprentice or assistant under an older farm manager for a couple of years and feels ready to step into a management and leadership role. The ideal candidate has enough experience to confidently manage a start-to-finish growing season for 2 acres of crops and a pastured poultry project and teach/mentor new/emerging farmers in internships, apprenticeships, and entry-level community garden coordinator. The job description can be found on Indeed, our website, and Facebook. Mountain Roots will be accepting applications through Wednesday Nov 21 for a mid-January start. The total running time of the film festival is 84 minutes. There will also be a brief intermission with a free door prize raffle. Join us at the Maine Outdoor Film Festival for an evening of outdoor films under the stars at Riverside Park Pavillion. The total running time for the film festival is 61 minutes and there will also be a brief intermission with a free door prize raffle. September 7th-9th Greenhorns and Eat Local Eastport present: Forest Mycology and Wild Edibles in the Maine Woodlands And Wildlands with Russ Cohen and Peter McCoy. Join Russ Cohen and Peter McCoy for a weekend in the Maine wildlands and woodlands. Russ and Peter will teach us how to interact with and feed ourselves from the wild world around us – sustainably. On Friday evening, we will all come together to learn the theoretical aspects of foraging for wild plants and mushrooms, this includes processes for identifying wild plants in the region as well as instructions for sustainable harvesting of wild edibles. Maine is home to over 100 species of edible wild plants. Many of these species are more nutritious and/or flavorful than their cultivated counterparts. These include native species like Black Raspberry and Shagbark Hickory, non-native weeds like Burdock and Chicory, and exotic invasive species like Dame’s Rocket and Japanese Knotweed. The Pine Tree State is also home to dozens of species of edible mushrooms. Russ’ evening talk will cover at least four dozen of the tastiest species the region has to offer. These include species everyone knows well, like Daisies and Dandelions, plus species they may never have even heard of, like Calamus and Carrion Flower. At least a dozen of the easier-to-recognize edible mushrooms will be covered too, from Morels in the spring, to Black Trumpets in the summer, to Hen-of-the-Woods mushrooms in the fall. Keys to the identification of each species will be provided, along with info on edible portion(s), season(s) of availability and preparation methods, as well as guidelines for safe and environmentally responsible foraging. Russ will also include a few details regarding some native edible plants he has grown successfully from seed, and the partnerships he has made with conservation groups and others to add edible native plants to their landscapes. Last but not least, Russ will accompany his talk with handouts and several foraged goodies made with wild ingredients. There will be ample time for questions and discussions. On Saturday Peter will begin with a talk and presentation focused on mushrooms. He will cover Fungal biology, ecology, and cultural history of mushrooms, Mushroom and lichen identification and wild harvesting ethics, tactics for measuring forest health with lichens and mushrooms, and habitat regeneration with fungi. Later in the day Russ will lead a guided wild plant and edible walk. We will spend the afternoon exploring the Downeast landscapes in search of edible wild plants and putting the theory that we learn on Friday and Saturday morning into action. While it’s never possible to predict exactly what types of wild edibles that we might encounter, given the time of year, Russ expects to encounter and share the delicious details about at least two dozen species. These could include edible farm weeds like Lamb’s Quarters and Purslane, edible roadside weeds like Curly Dock and Wild Parsnip, edible coastal plants, like Beach Rose and Beach Pea, and edible native plants preferring damp, sunny habitats, like Cattail, Elderberry and Groundnut. Mushrooms are even more elusive than their wild plant counterparts, however following on from his presentation in the morning Peter will teach us how to identify and harvest and mushrooms and lichens that we encounter and will explain the role that these fungus play in their environment. On Sunday Peter will focus on the thousand-year old Japanese tradition of Shiitake log cultivation. He will cover best practices for site selection, inoculation, and harvesting in depth. You’ll learn hands-on how to create a productive, and low input mini-mushroom farm to produce pounds of Shiitake mushrooms on demand! He will also guide us through the processes involved in processing mushrooms and lichens for natural medicines and dyes. Both Peter and Russ are passionate about sustainability and environmental responsibility so in addition to tips on identification of wild species there will also be a focus on safe and environmentally responsible foraging throughout the weekend. This workshop is not suitable for, or intended to be a guide or training course for those looking to harvest wild plants for commercial sale. Every Participant will receive a signed copy of Russ Cohen’s best selling book Wild Plants I Have Known….And Eaten. 3 day programme – limited spaces, RSVP required, email office@greenhorns.org. Interested in natural beekeeping? It seems like summer, but winter is coming! Learn to prepare your bees for the long dark days by starting early. This course will cover natural beekeeping basics, observation practices and bee walks as well as lecture in the hall. Using live hives and working directly with the bees, Tucka will teach us how to complete a live late-summer inspection and will give relevant advice and tips on feeding, treating and other fall activities. Please bring your protective gear as well as an inquiring mind. Stings do happen! It all started with the Natural Beekeeping Trust in England, where a swarm flew away with her heart. Since then, she’s worked with a series of mentors, most notably the bees themselves. Tucka currently raises queens in box hives in upstate NY, and works for Mike Palmer – legendary beekeeper in upstate VT. Her operation is strongly influenced by the survivor stock and radical ideas of Sam Comfort from anarchy apiaries. Email office@greenhorns.org asap to register.